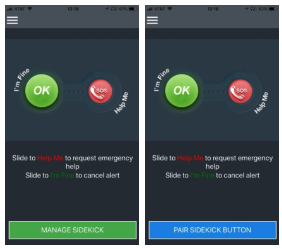 Power Sidekick off/on (easiest) – Simply try turning the Sidekick off and on again. When it reconnects the LED will turn solid green for a few minutes. Check Sidekick status in React Mobile app. You can also see the Sidekick status in the React Mobile app.